I thought I had posted this before, but…I didn’t. I had made this Beer Brined Pork Loin recipe from Chili Cheese Fries for my man partner a while ago, and it was delicious. I made it again last week, but, of course, I ate it all without taking any pictures. So here’s a picture of the girl scout cookies I bought today! 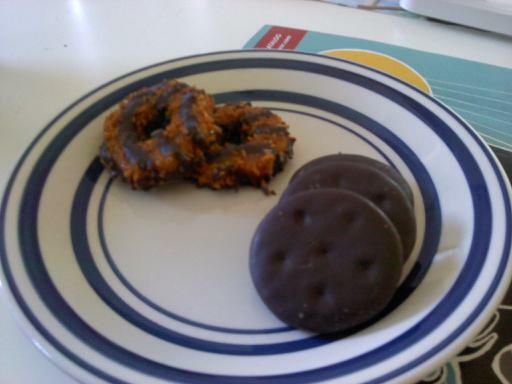 samoas and thin mints. you really can't go wrong.